Updated 9:52AM, Tuesday November 20th, 2012	by Sam Hailes, Christian.co.uk Be the first to comment! “I’m always skeptical about people’s motives,” she admits. You get the impression that she empathises with those who read her story with skeptical eyes. Dr Neal thinks of herself as a typical person. A mother, wife and doctor who leads a busy life. But a series of extraordinary events has changed her life for good. The story starts when Dr Neal’s four year old son told her he wouldn’t live to be 18 years old. “The way he said it hit me like a ton of bricks. I knew it to be true. I don’t know how I knew. It was as clear in my mind today as it was then. 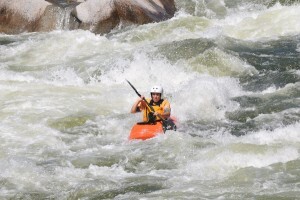 Mary continued with her life until a kayacking accident in 1999 led to her drowning. Some reports suggest she had been unconscious for 30 minutes before receiving medical attention, but Mary says even the most conservative figure of 15 minutes is still too long to explain why she is alive today, suffering no brain damage. During this time, Mary says she entered another world where she met God and gained a glimpse of heaven. The most profound element of Mary’s ineffable experience was feeling a sense of God’s love. “That’s something that before this experience I struggled with. I didn’t spend much time thinking about it. Even though I would have claimed to be a Christian before this experience, I never understood how that would happen because there are billions of us on the planet and it’s so hard for us to love even the guy down the street we don’t like, agree with or look like. Can We Trust Near Death Experiences? Mary is aware of many other accounts of near death experiences. Based on the number of consistent experiences, Mary is confident in saying they are real. “Almost everyone describes their experience in terms of a different type of memory and a different quality of experience than a dream or hallucination. Everyone who has had a near death experience knows without any shadow of a doubt that it was real. Mary says that although her experience was Christian, she can’t vouch for other people’s. Theological consensus between those who have had a near death experience is difficult, if not impossible. Many claimed to have had visions of heaven but relatively few people experience a vision of hell. Does such a place exist? 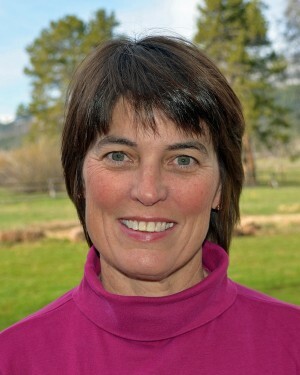 “There are a lot of theologians who would absolutely claim hell is a concept created by the Church to scare people and they don’t think it’s biblical,” Mary says. “I’m not a biblical scholar,” she adds before admitting she doesn’t know the answer to the question. Before being sent back to earth (or “kicked out of heaven” as her kids say), Mary was given a mission. 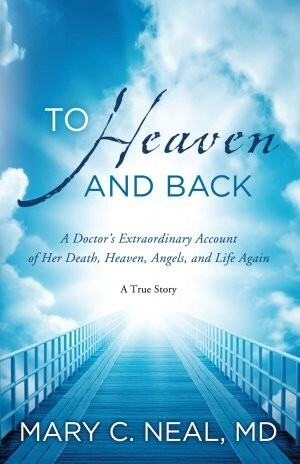 The full experience and instructions are detailed in her book To Heaven And Back. One revelation the doctor received was that her son would die. Mary was not surprised. Miraculously waking up after what looked like a fatal disaster, Mary lived with the eerie promise for some years. “People have asked how could you live like that? It’s easy because through my experience I made this transformation from faith in the promises of God to an absolute trust in the promises of God that they are true. One of which is God has an incredible plan for each one of us. “Each one of us is a little thread. There’s no way for us to have any recognition that our one little thread is contributing to this incredibly beautiful tapestry. I knew without doubt that if that was the plan for my sons’s life there would be great beauty not only in his life but in his death. "When I talk about the fact that God has a plan for us, that is very different than talking about pre-destiny. God had a plan and an outline for our lives but freewill and free choice is part of that and it can impact the plan. “Pre-destiny would put forward that every moment of every life is already mapped out which was not part of my experience. One night Mary had what she thinks was “more than a dream”. “There was a boy who came to me and told me he had traded places with my son. I think it was actually his spirit. This dream was not like a normal dream. It wasn’t anyone I recognised but when I woke up the next day this boy’s photo was in the newspaper and he had been in a freak car accident the day before and died. “At that point I thought the plan had changed. I was heartbroken for this boy’s family but I was certainly relieved for my own family. “Ultimately my son was killed and even that was an example of God’s perfect timing because even though I knew one of the mandates was share my story with others, I didn’t want to do it so for ten years. I came up with all kinds of reasons why I couldn’t do it and didn’t need to do it but then one day I was thrown out of bed and God said: ‘Now is the time you’re going to do this’. “And I did it. I finished the final manuscript only a few hours before my son was killed and I look at that as an incredible gift and a wonderful example of God’s timing. Mary says her son's death enabled her to help people see the beauty in his life and look at loss "with a sense of hope". It was a result she said God had promised year before in her heaven experience. The full story is detailed in full in To Heaven And Back.